The Giant Panda is found in areas of China. They are easy to identify due to their black and white coloring. They have black limbs, black ears, and a strip of black through the middle of their thick body. They can be up to 5 feet tall and weigh from 300 to 350 pounds. 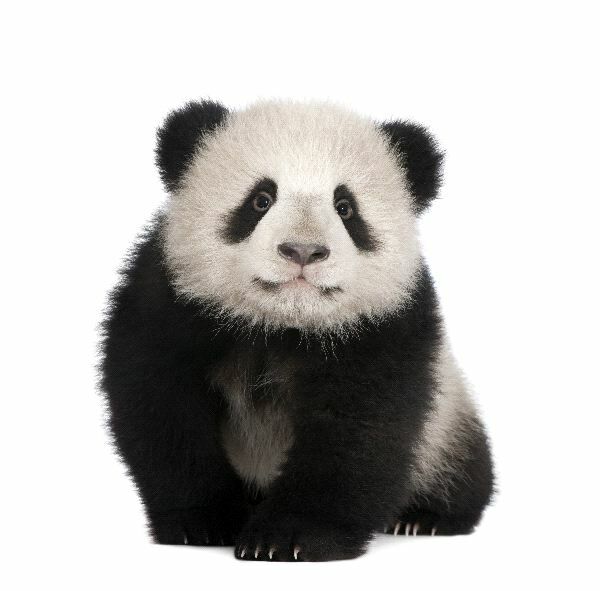 The Giant Panda is very powerful and they have thick fur. At this time they are considered to be an endangered species due to habitat destruction. Their diet consists mainly of bamboo and they have to eat a very large amount of it daily. They also have a very low rate of reproduction which makes it hard to get their numbers to increase.